We have been active in photography for over 30 years and during that time we've established a reputation for quality presentations about the art and craft of photography. 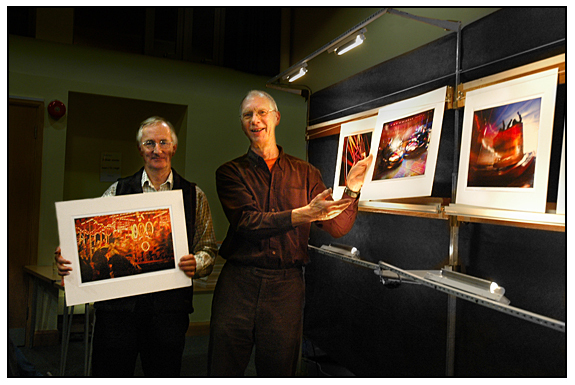 During our 30 years of talks, we've have created numerous audio-visual shows, worked in traditional darkrooms, explored 'alternative' methods, used toning & hand-tinting and even made prints without the aid of cameras! Now we're both using Digital Imaging as our primary method of image making and reproduction. 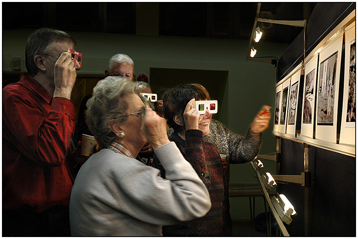 We've always sought to share the joy and excitement of photography and picture making with wider audiences. We're also very happy to share our knowledge in an open exchange with our audience and we definitely do not believe in 'keeping secrets'. Although we have distinct approaches we enjoy a common enthusiasm for representing and interpreting predominately 'natural things' in styles that are complementary. 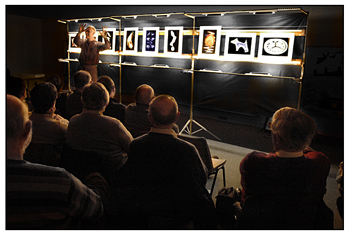 We also give presentations about 'Photoshop Techniques' using a computer, data projector and large screen. 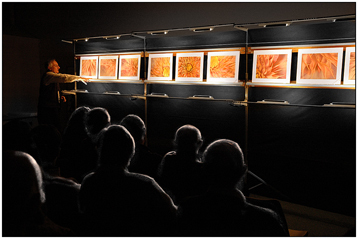 During these presentations we demonstrate numerous Photoshop techniques and describe the methods by which we produce our images. 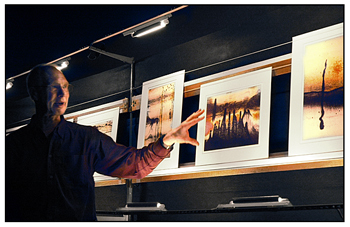 Our prints are exhibited on a free standing 20 feet wide self-illuminated stand. 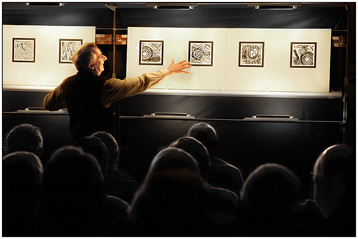 This large presentation area allows whole panels of work to be shown and discussed.